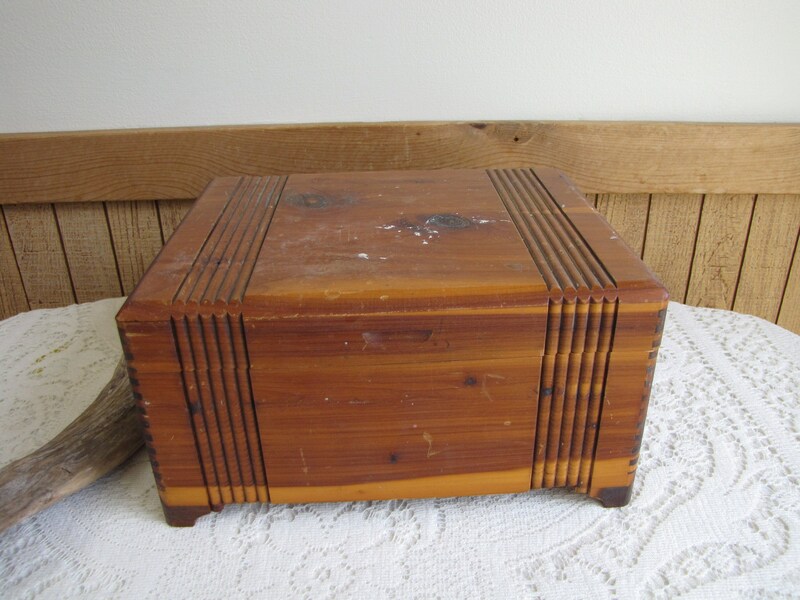 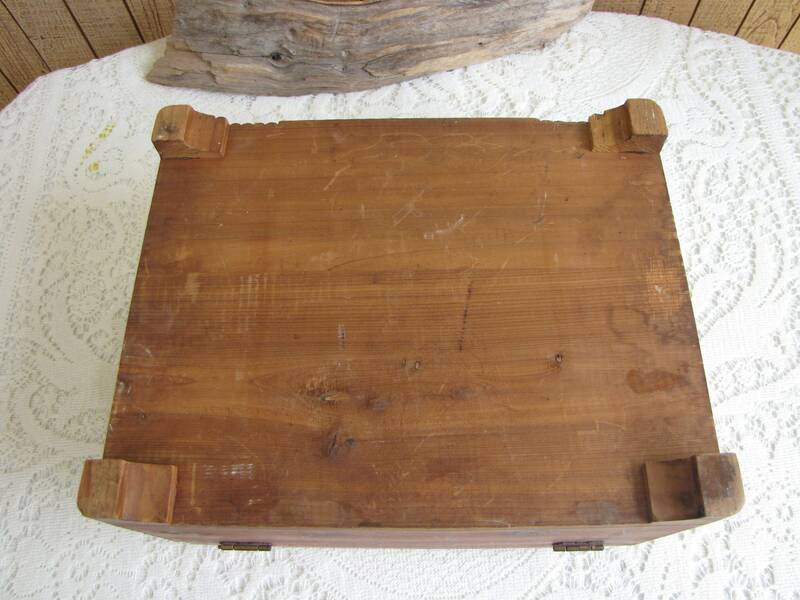 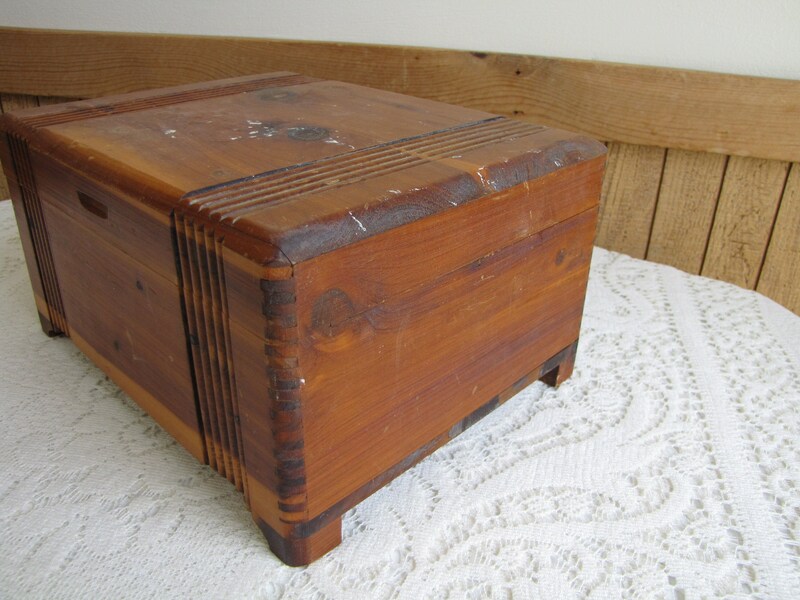 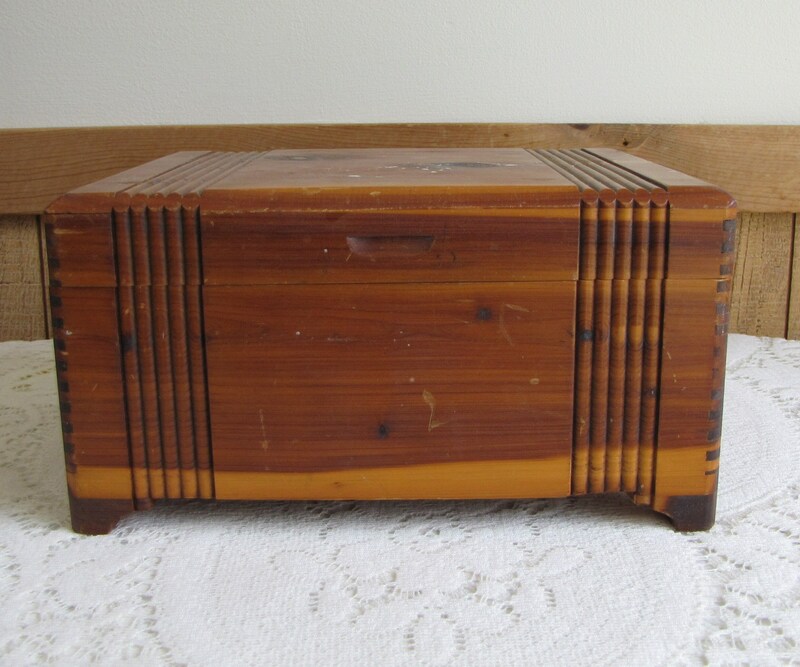 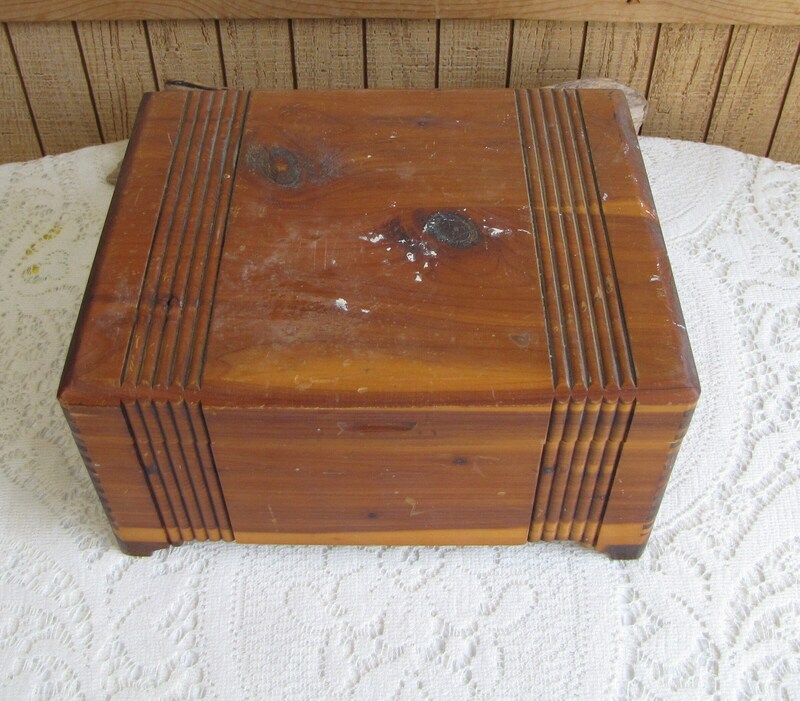 This a cedar box that is good vintage condition; paint and marks on the top of the box. 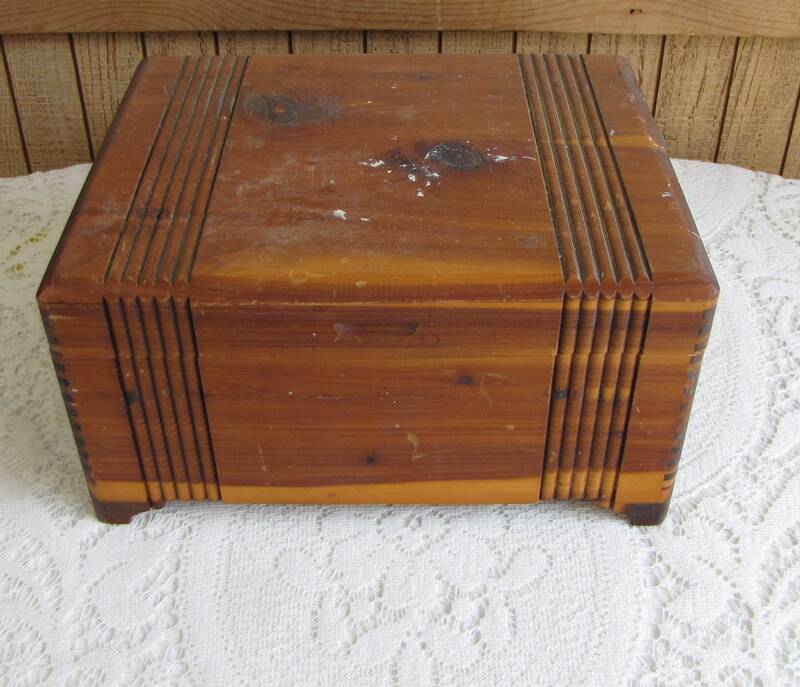 The rest of the box is actually in very good condition. 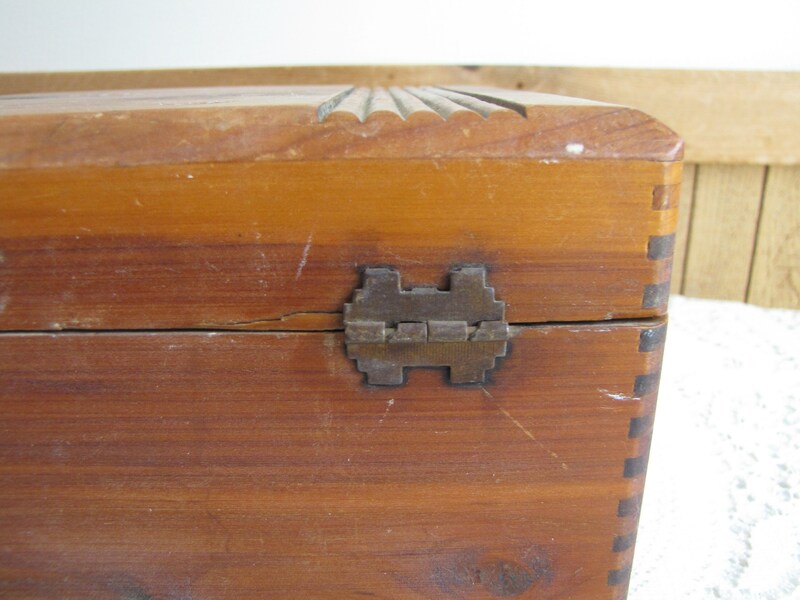 The piece is dovetailed and has a ribbed carved design. 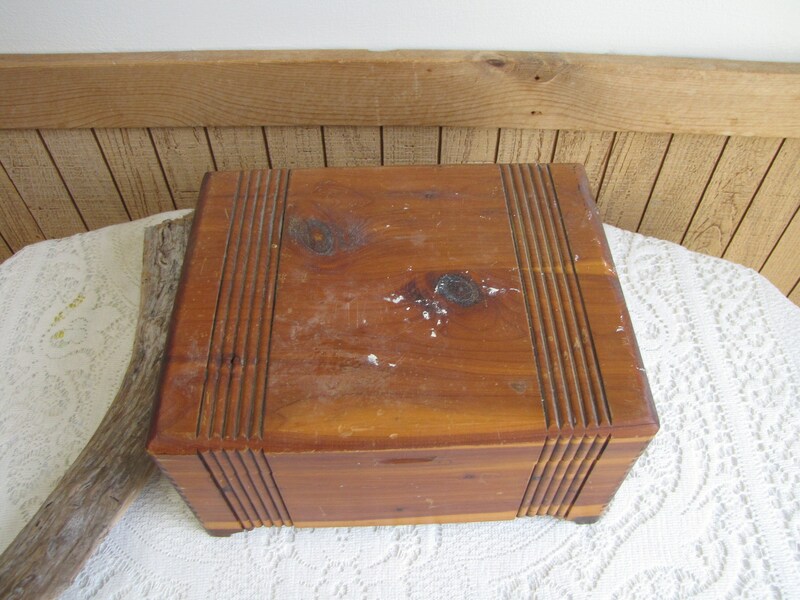 The box measures 10 x 8 and is 5.5 inches tall. 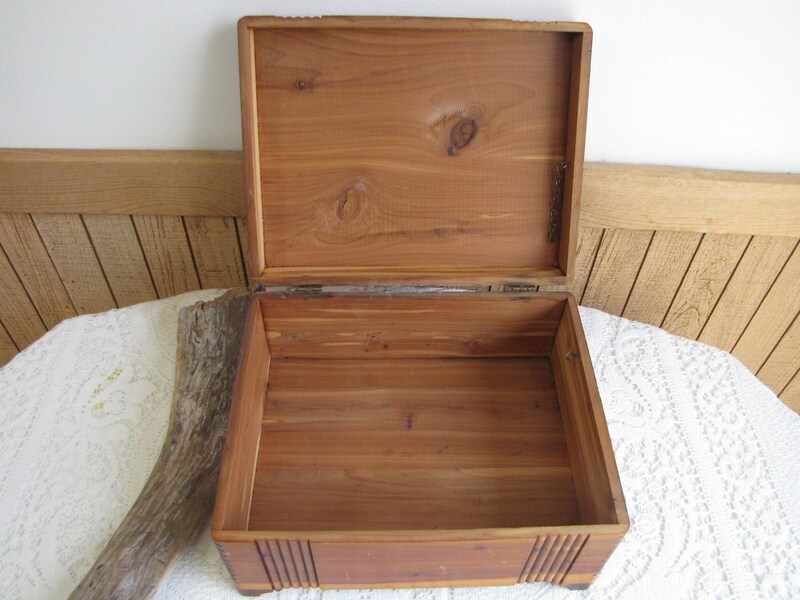 The cedar smell is a little perfumery. 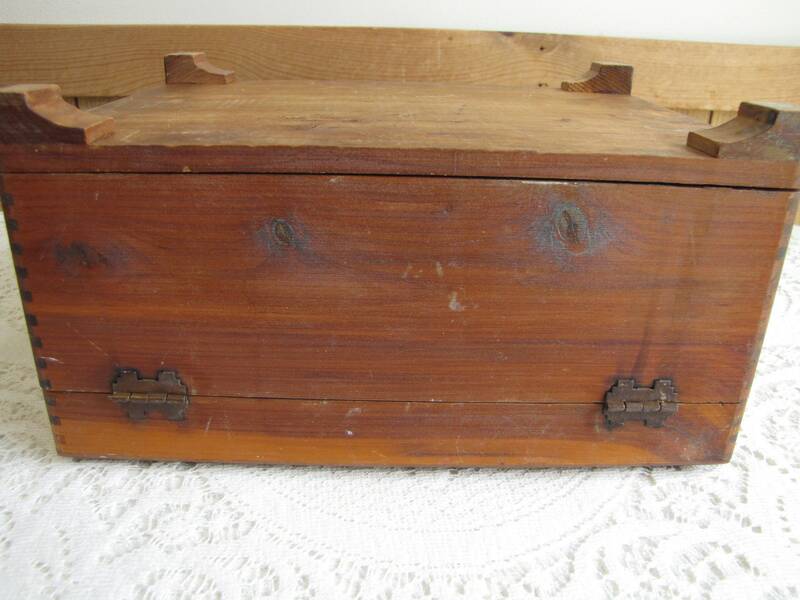 Not sure if its age or how long its been closed up.